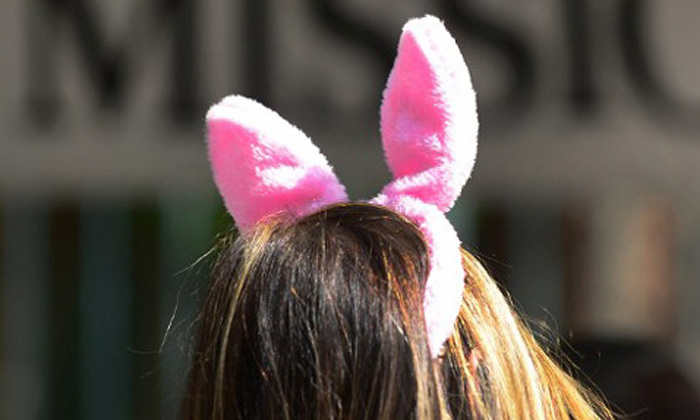 A Japanese woman was forced to wear bunny ears as punishment for missing her sales targets. The woman’s employer, a cosmetics company, is reported to have used photos of the 61-year-old in bunny ears as part of company training programmes, the Mainichi Shimbun reported. The woman, who has not been named, has sued the company claiming mental distress after her bosses instructed her to put on the costume when she did not meet her targets. Four colleagues are believed to have helped management take photos of her wearing the bunny ears. She demanded 3.3 million yen ($33,000) in compensation as the actions caused mental suffering which resulted in physical sickness. A court upheld her complaint, but ordered the company to pay just 220,000 yen (S$2,785) the Asahi daily said.